Two weeks into the monthlong Earshot Jazz Festival, the program is shaping up as one of the best ever, living up to the fest's reputation for celebrating eccentricity but also swinging through the wheelhouse of more traditionally minded fans. As readers of his New Yorker magazine columns know, Iverson was being slightly ironic, but only slightly. His concert was part of an annual marathon known for its celebration of eccentricity, the Earshot Jazz Festival (Oct. 7-Nov. 4). Two weeks in, Earshot has lived up to its reputation. However, the festival also has been swinging through the wheelhouse of more traditionally minded fans — with a welcome emphasis on groups led by women — and the resulting program is shaping up as one of the best ever. 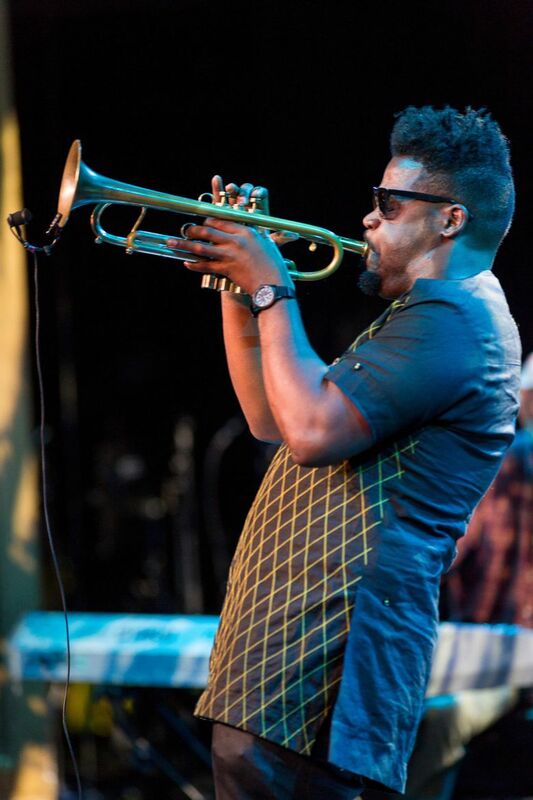 Four concerts have featured trumpeters — Marquis Hill, Keyon Harrold, Adam O’Farrill and Seattle’s Samantha Boshnack. Hill and his creative vibraphonist Joel Ross blew the roof off the Royal Room at the 2017 festival; on Oct. 8, they tore down the walls. The quintet’s integration of throbbing electric bass, thwacking drums and warmly glowing vibraphone created a uniquely modern texture and flow. Hill’s quite personal compositions — “The Watcher” was inspired by his grandmother — had emotional as well as technical impact. Like Hill, Harrold is an accomplished jazzer, but like a rock or pop artist, at the Triple Door Oct. 14, he delivered a set piece with a swelling theatrical arc that segued directly from track to track, including recorded spoken word, reggae, African-inspired music and neo-soul vocals. It was the same show he gave in Montreal this past June, a scripted approach that might offend jazz traditionalists but should draw in young fans. Unabashed about wearing his heart on his sleeve, Harrold began with a recording of his mother giving him a pep talk on the phone, then nodded to his hometown of Ferguson, Missouri, with “Lament For M.B. : When Will It Stop?” followed by “Summertime” and “We Shall Overcome.” Needless to say, Harrold connected. O’Farrill did, too, at least with some, though it was difficult to hear why. His pianoless (and grooveless) quartet delivered a dry, disparate set at the Royal Room Oct. 13 characterized by alternately stabbing and atmospheric repetitions whose obsessiveness suggested the intention, if not the realization, of a sort of condensed Ornette Coleman. More satisfying was Boshnack, whose compositional excellence is familiar to local fans. This year, a residency at Los Angeles’ 18th Street Art Center afforded her time to write “Seismic Belt,” an exciting, eight-part, 60-minutes-plus piece for septet featuring saxophone, trumpet, two violins and rhythm section. Like the Pacific Rim geology that inspired it, Boshnack’s piece — I saw a dress rehearsal the night before her Oct. 12 show at the Royal Room — bristled with layers of tension. Her use of strings was particularly effective, not only for warm textures, but sprightly plucking. Lauren Elizabeth Baba, from Los Angeles, played stunning solos on both violin and viola. 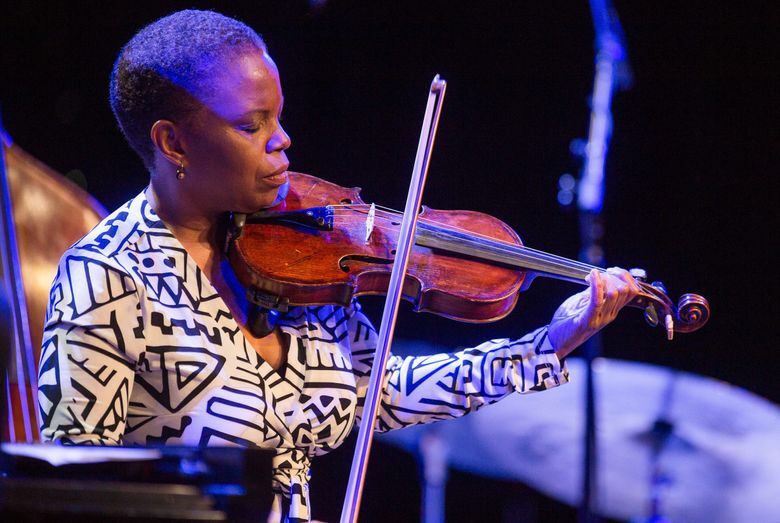 More than 40 percent of the groups at this year’s Earshot Festival are led by women, so kicking off the festival Oct. 7 with another female violinist, Regina Carter, made perfect sense. Carter delighted the audience at the Triple Door with tunes from her most recent album, “Ella: Accentuate the Positive.” Charmingly, she broadcast Hoagy Carmichael’s version of his tune “Judy” through her phone before playing it herself, then explaining that this was a song Ella Fitzgerald won first prize with as a teenager at the Apollo Theatre. At the same venue Oct. 15, opening for Iverson and Turner, Seattle vocalist Johnaye Kendrick marked the release of her new album, “Flying,” concluding with the poignant, folk-rockish title track, a celebration, she said, of the #MeToo moment when she realized she need no longer put up with sexual harassment. But back, for a moment, to that “esoteric” concert by Iverson and Turner: At one point they played Turner’s “Myron’s World,” a line with so many twists and turns that it made their clever deconstruction of John Coltrane’s “Giant Steps” sound like a nursery rhyme. But what a gem! And that’s the way it is with jazz. Sometimes the music leaps forward, at others it re-grounds itself. This year, Earshot is touching all the bases. Promising shows to come include the greatest trumpeter of them all, Tom Harrell (Oct. 24); jazz vocal sensation Jazzmeia Horn (Oct. 23); guitarists Pat Metheny (Oct. 21), Jakob Bro (Oct. 27) and Bill Frisell (Oct. 28); composer Maria Schneider, with the Seattle Repertory Jazz Orchestra (Nov. 3-4); and pianist Myra Melford’s Snow Egret (Nov. 4). Paul de Barros has written about jazz for The Seattle Times since 1982. pdebarros@comcast.net; On Twitter @pdebarros. This report is supported in part by the Rubin Institute for Music Criticism, San Francisco Conservatory of Music, and the Ann and Gordon Getty Foundation.